Wedding rings are symbolic of the connection between a married couple. 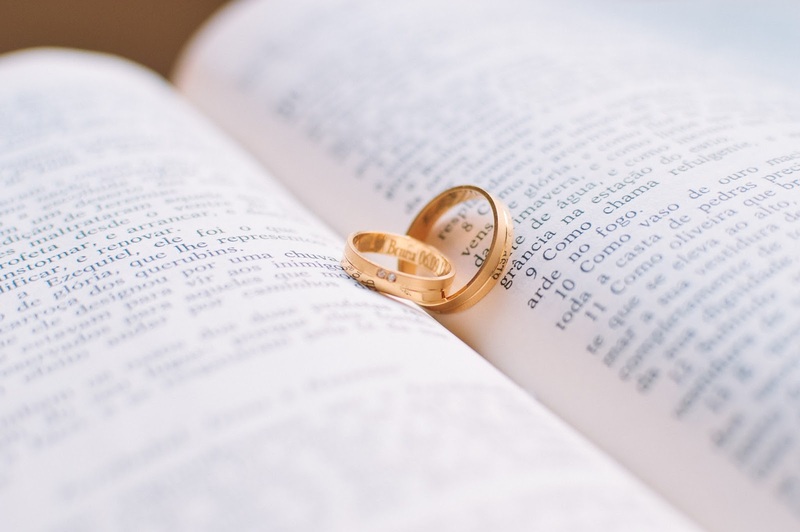 Traditional wedding vows state: “With this ring, I thee wed.” The vows and the rings are optional, but the majority of couples choose to wear wedding bands after they are married, to signify to the wider world they are ‘taken’, and to show their love for each other. There are hundreds of different wedding rings to choose from, including vintage rings and designer platinum bands set with diamonds (click here for more information on diamond rings). However, if you are shopping on a budget, you need to find rings that look fantastic, without a big price tag. Budget is a personal thing. One couple might consider $10,000 a limited budget whereas another couple may only have a $100 to spend. Since you will be spending money on other things, not least a reception venue and dress, it is essential that you work out how much of the overall budget you can afford to spend on rings. You should allocate around 3% of your total wedding budget on rings. However, if you are planning to buy rings with added extras like engravings or diamonds, the cost will soon begin to rise. Simple wedding bands free from embellishments are cheaper than a more decorative band. For some couples, this type of wedding band is perfect. If you have a physical job or you are an exercise freak, you should probably avoid anything too decorative, as there is a strong possibility your ring will end up damaged or lost. The same applies if you are uncomfortable with a showy ring – stick to something simple that will feel right when you wear it every day. Online prices for rings are often cheaper than anything you will see in a local jeweler’s store. As long as you know your ring size, buying wedding rings online is easier than shopping in a store. The only real disadvantage is that you can’t try the rings on before you buy. If budget is restricting your choice, make a pact that one of you has a more decorative ring. There is no reason why both rings have to be identical. You can pick a design trait you like, or have bands made in the same metal that are quite different in style. Look for rings you both love, that are available at the right price, and then make sure at least one aspect joins the two rings together. A simple inscription personal to you both will work perfectly in this regard. Since you are working within a budget, it is sensible to choose the rings together. That way there will be no arguments over how much the rings cost. Take your time when choosing wedding bands. You will be wearing them every day for many years to come, so it is essential that the rings are comfortable as well as appropriate for your budget.